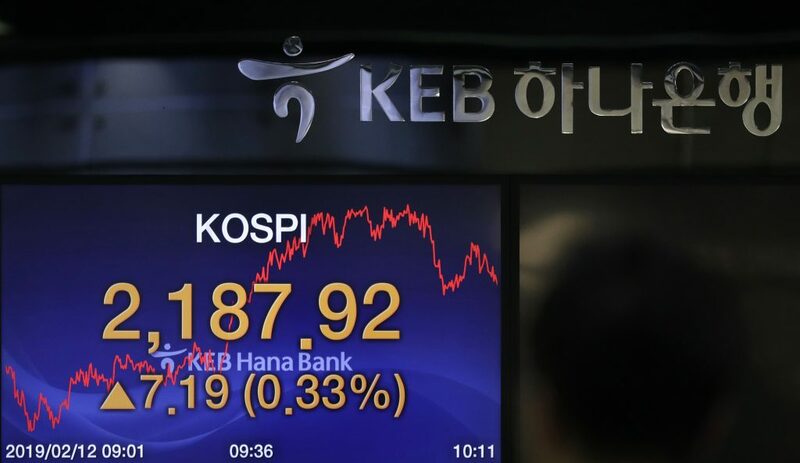 Asian shares gained on Tuesday as investors hoped that a new round of U.S.-China trade talks would help to resolve a dispute that has dented global growth and some corporate earnings. Market sentiment also got a boost on news that U.S. lawmakers had reached a tentative deal on border security funding that could help avert another partial government shutdown due to start on Saturday. Congressional aides, however, said it did not contain the $5.7 billion President Donald Trump wants for a border wall. U.S. and Chinese officials expressed hopes that the new round of talks, which began in Beijing on Monday, would bring them closer to easing their months-long trade war. In the currency market, the dollar held firm until Monday, having gained for eight straight sessions against a basket of six major currencies, its longest rally in two years. In contrast, the euro dropped to as low as $1.1267, its weakest in 2½ months, and last traded at $1.1277.